I would be interested in gaining your views of Training Course providers. Currently looking at the Surveillance Academy, part of the Vanquish group. Anyone trained with them? Is their training good quality? Argus Europe in the North East are great, good post course networking. You are doing everything right so far, the first thing to do before any course is to conduct advanced research and due dilligence. I agree with Jason Baughan that Argus Europe are very good. Brian Tough and Nick Mc Carthy are 2 people I have heard of who head Argus Europe. Nick used to head the BBA with Shaun West, he is a very talented SV operative and takes it seriously and is very passionate about SV, he is always reviewing and buying new kit. G4S are also supposed to provide a very good SV course taught by former SF operators. One company that can not go without a mention when talking about SV training is ISS. Peter Jenkins is a legend in the SV circuit and his course is described by many operatives as the best out there. 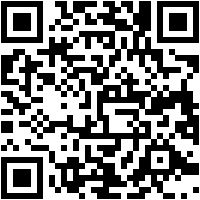 Here is a link for Argus Europe. I saw what I think was a training / promotion video of Argus Europe a while back. If I am brutally honest, the commentary was sloppy at best. This is what happens when you have guys who have no prior specialist training in foot/mobile surveillance, attending a "Level 3 BTEC" course and then going on to teach it themselves. Doing an O.P in Northern Ireland does not count!! Do you mean the instructors at Argus Europe are no good? I know the video Mike is speaking of, I posted it a year or two back for discussion on `another forum` . Unfortunately it has been removed from YouTube now. I dont personally know the instructors at Argus, nor do I know their backgrounds so I can not say whether they are good or no good. But there are that many companies out there who's instructors have just passed a Level 3 course and then decided to instruct. Whether or not Argus are one of them, I do not know. But I stand by what I said, the commentary on the promotion/training video was sloppy at best. Thanks for your response. I would choose ISS over any provider. I recently competed ISS Trainings 11 day advanced Surveillance course and would like to recomend it to anyone interested in doing a surveillance course. I have no experience from other surveillance training providers to compare with but can say that ISS is a very good one. I choosed ISS as TP after reading through many reviews and could not find a negative one combined with ISS have provided surveillance training for a very long time and all instructors are experienced surveillance operative who works regulary in the trade. Another thing that made me choose ISS is that I have a copy of Peter Jenkins international best selling book called Surveillance Tradecraft, I think the book is brilliant and of course I would like to train with the author. Before the course I had high expectations and I was not disapointed, it is a truely enjoyable course, the instructors are brilliant and they make you come out of the course confident to take on surveillance work. English is not my first language but during the course I had no problem since the instructors explain everything in a way that is easy to understand, even for stupid foreigners as me. Many thanks for the review Rikard! Not done the Peter Jenkins course but I have his book also. Can't go wrong with ISS, has been going for years and as you said, never anyone disappointed with the training. I have met Peter at ISS a couple of times and seems like a genuine guy. Back in my surveillance training days for a Limited Company teaching surveillance to government departments, I heard a couple of rumours about Peter, but I have never heard them from anywhere else and these rumours were never backed up to me. So it is not my place to to put them on a public forum. And to be honest, I am inclined to believe that they were not true as there were a number of bitter instructors in their own "click" who would quite frankly get eaten alive on professional surveillance teams that I have worked on. It's no secret that I hold ISS and Pete's instructing methods in high regard. I've been on a couple of his courses and found them to be top notch, some of the best SV training available in the commercial sector. I have gained tasks purely on the back of mentioning I was trained by them! I know there has been friction between yourself Mike and Pete in the past but it would be unprofessional to comment and should remain between the pair of you. I know you too have an extensive SV background and 'debates' will always arise in regards to training and methodology. Thankyou for remaining professional Mike, your expertise and input on the forum is valued! As far as I remember, Pete and I have never had anything bad to say to or about one another! Sorry Mike, I didn't mean to imply you were arch enemies, just in relation to previous 'heated discussions' and differing opinions regarding SV in the Private sector and commercial world. Got ya. Well that remains to always be up for discussion. And I will always stand by my comments in my belief that surveillance tactics, methods and literature should never have gone in to the public domain. But lets face it, it was going to happen at some point, especially considering the amount of government funding and the ability (or lack of) to fund full time surveillance teams, who then contract in private firms. There are some police forces who contract in private teams these days too! Books exist for every single specialty and subject and I am very thankful for that as we ( the good guys ) can learn great new tactics without forking out thousands of pounds for courses. Its a shame bad guys will also be able to get their hands on the books but you can't learn it all by a book. Mysteron2 wrote: I would be interested in gaining your views of Training Course providers. Currently looking at the Surveillance Academy, part of the Vanquish group. Anyone trained with them? Is their training good quality? Going back to the original question. I have viewed a video posted by the Surveillance Academy and it is quite clear that the narrator of this video (Michael Chandler, formerly or the Royal Military Police) is nothing more than an amateur at best. I was on the RMP surveillance team for over 3 years (officially Covert Operations Team). Being a full-time 12 man team, you get to know the people from past and present who served on it and I can tell you that he was not, just in case he ever tries to tell anyone that he was. So do not bother wasting your money with these. Go to someone with a reputation. Indeed, we did go a little off topic. Thank you for your attention to detail! That sort of attention to detail shows a true professional. 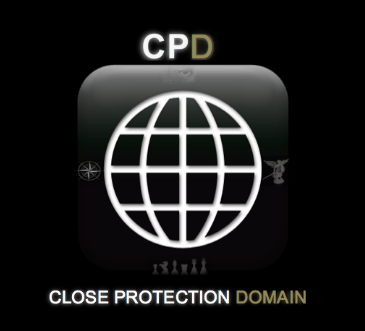 There may be some CPD Mod positions available in the near future…. Good to have you on the forum Mike, I am quite sure you will be an asset and your knowledge and experience can greatly benefit us all. No worries. And thank you for the offer. My moderating days are long gone unfortunately. I just simply don't have the time (nor patience) these days. Mike M wrote: No worries. And thank you for the offer. In theory my name is down. In reality I haven't done any "moderating" in a number of years. there is a lot of talk of the bad Surveillance TP's, but who are the good ones? Mike M wrote: In theory my name is down. In reality I haven't done any "moderating" in a number of years. "But 11 days is far from the finished article. I do think that he would be on to a winner with a 20 day course...."
My main point re Excellentia's course was the duration. Here, you claim that 20 days is sufficient for SV. It could easily be argued that CP is just as in-depth as SV, if not much more yet you failed to see my point re 16 days. It's all very much a pally pally approach you have but until you have a little more knowledge and experience in commercial CP and what standards should be imposed for a workable level your points will forever more be seen as little more than support for 'supports' sake as opposed to accurately deeming what is and what is not required on the ground. If you imagine a properly trained SV operator has conducted foot, mobile, tech, photography, video, driving, CTR's, in-depth reporting and in some instances, weapons, heli SV, high-risk actions on, DNA collection, computer/ phone intrusion etc but only a few 'low-level' aspects are going to be included in licensing, without the need for a driving license, minimum age, character/ mental/ physical and fitness minimum requirements you may realise that the end result is not fit for purpose. Consider in addition a manifestation of a commercial SV industry explosion of 'SV training providers' emerging churning out 12/14/16 day course you then may come to realise a very small projection of my thoughts concerning CP. It's nothing whatsoever to do with 'Picking on certain companies' or 'Personal vendetta's'. It's to do with being passionate about what you do and wishing to see a fit for purpose working environment. Unlike SV, the worst case for an ill prepared CP operation is death of the Principal. Go figure. It is becoming very hard to find a good TP these days, they seem to be only after money. Which company was advertising an 11 day course? Good points raised Rich, its great that you are fighting for higher standards in the industry and keeping the TP's on their toes. FYI I found Michael Chandler and informed him about the post on his company. I like open debates, I don't mind members giving their opinions on people, but its even better when the party mentioned is informed about what is mentioned, gives the person the chance to debate about it and to confirm or deny or ignore. Yep, it's amazing the power of silence. More words can be spoken in not saying anything than saying something. Additionally, there's no 'wool pulling', bluffing or mere accusation as a retort. Hi guys, been busy all day. Will be interesting to hear Michael Chandlers views on the criticism of his video. Obviously he can read the criticism on the other post on here. Rich, you miss my point. I will not criticise a course that I have no evidence that is good or bad. You do. As previously mentioned, you try to make a point about a company that you have not seen in the flesh. But yet you endorse other companies who firstly have yet to run any courses, and secondly some of which have a similar course length to that of the company you have an issue with. The only difference being that the companies you endorse buy your book in bulk. Thinking about it, maybe a 20 day course is still insufficient. I have worked with a number of BTEC Level 3 operators who have been "ok" with tactics on the ground, but when it came down to writing the statements, surveillance logs, evidence packages etc then it was clear they were utterly useless. An operator getting paid £300 a day should not have their TL waiting for 4 days after the job has finished to submit all their logs, statements and photo/video supplements! Mmmm, no - you are still missing the point. I don't have to visit/ witness a course to understand what the content is and what the end result is. IT IS A 16 DAY COURSE - NOT 21 AS THEY CLEARLY ADVERTISE. This is my point. As such, they are merely scraping past the SIA minimum and attempt to sell it as a 21 day course. How low can you go? Michael, you clearly fail 100% in being able to grasp basic fundamentals in training, courses, core competencies, objectives and standards. You fail to identify the knock on effect if such elements are not included and met. You fail to approach this very point in a level headed manner preferring to adopt the exact same weak mindset of Excellentia concerning standards in Close Protection. Just because a company has played on words in selling an unfit for purpose product and you have close ties with the MD of said company you simply cannot disassociate yourself and view the situation out of the box. Maybe its a lack of exposure or experience in the industry, I don't know. What I do know is that your opinion is based on close tie ethics of which blurs sound judgement. You now state, after a days thinking, that 20 days could be insufficient. Yet, you are perfectly happy in supporting a 16 day CP course! Which is it?! Never mind, the situation is crystal. Rich it is quite clear that we will never agree on this and it is becoming rather boring and pretty obvious that the only reason you endorse the other courses is because they line your pockets. Your presumption in my lack of exposure to the industry couldn't be further from the truth. However, I for one do not need to dish out my experience or cv to you. I am in London in coming weeks on an RMPIB meeting. If you are there then more than happy to chew the fat. Good day to you fellow former RMP Corporal. Exemplo Ducemus! Thanks for the invite Michael Morgan but it is clear you have no appreciation of raising standards in CP whatsoever but prefer to pally up to those who may throw work your way, or scratch their backs because 'that's what friends do'. You don't need to dish out your CV to me - I can see the writing on the wall! You, like John Morrison and Derek Kerr still fail to answer the fact of a 16 day course being sold as a 21 day one - and then on top of that go on to state that you don't believe 20 days training is sufficient for SV! No it's not - and it's not sufficient for CP either. If there's ever a definition of contradiction this is it! Mike M wrote: Hi guys, been busy all day. He has read the posts on his company, but obviously doesn't want to add anything. Lol Rich. Your pointless drivel does somewhat amuse me. No back scratching required here. Believe it or not, you are not the only person in a full time position. Additionally, I do not answer to or for Excellentia, but I do state my opinion on what I see. Although I do not ever recall me saying that a 16 day course is too short or just right etc, but I do recall stating your direct fire to Excellentia seems more personal than anything else. Please feel free to enlighten me when I have even encroached on the length of their CP Course? My criticism to you has always been about your personal issues with them and your endorsing of companies that have never even rolled out a single student. I think you will find that is the definition of contradiction. Until they have rolled out these students that are above and beyond their peers, YOUR endorsements are pretty much worthless. Rich, I also love how you feel it necessary to put my full name on here. Im not sure if that was a little attempt at a "i know who you are but you dont know who i am". But you seem to forget you are known to a number of us ex-corps whether that is directly or indirectly. Whatever seems 'personal' to you 'seems' to you. I have no 'personal' gripe with either of the 2 of them other than the fact of them not once every supporting their approach to CP training in a constructive manner. I'm not out to win friends here, I'm here to highlight the shortfalls of training practise and the unethical and immoral manner in which the course is sold. I'm not a training provider. There is no 'competitive' underhand reasoning for my concern here. 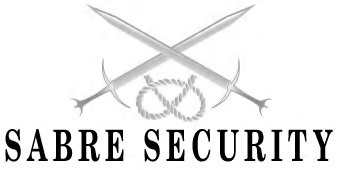 My focus is on raising standards hence the lobbying to government, the Home Office, the Parliamentary Under Secretary, my involvement in reviewing the National Occupational Standards for Close Protection and the publication of what is now the leading one of its kind on Close Protection. Why bring up things like 'I'm not the only one in full time employment' or 'fellow RMP corporal'? I've been out of the Forces for nearly 14 years, 2 longer than the 12 I served, 5 of which was with 3 Para. I have to say, you'd all make excellent politicians. No answers to questions, diverting the questions and attacking the credentials of the person questioning. All very immature and sadly much wanting. Good to see some constructive (and less) debates on the forum. I have never really taken an interest in Excellentia Ltd and I know very little about them. The reason is, I did my SIA CP course and licence a long time before Excellentia even existed. Excellentia has a great reputation on CPW but many argue this is because the Excellentia CEO is the CEO of CPW. I carried out a bit of research outside of CPW to see what the general opinion is on Excellentia and this particular TP got very good reviews on other websites and on the security advisor. 100% of Excellentia instructors are ex RMP, and the students feedback is that they are very passionate about their role. Didn't Excellentia have a partnership going with Peter Jenkins from ISS? Is this still going? One thing that does bother me however is the info Rich H gave regarding the fact Excellentia advertise a 21 day course when it is really 16 days. What is all that about? When we start our project and in depth report on the best TP's, we will certainly be investigating this issue and if its the case we will be warning newcomers to the industry. No matter how good of a provider you are, you can't go advertising false information. Would like to have that issue cleared up fast, we plan to put Excellentia on the report but as a professional forum with high standards, we simply cannot advise newcomers to go to a provider who gives out information that is not accurate. 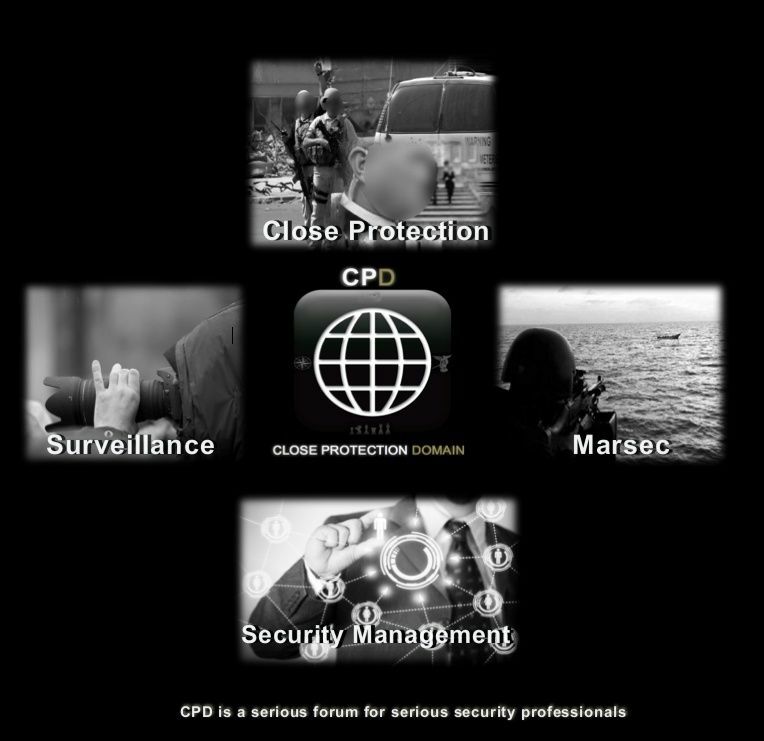 They term it as '21 day Close Protection Package' which actually comprises of 16 days CP and 5 days FPOS. Mike, the familiar common theme here is I suppose, the 'typical RMP mentality'. This is why the corps have such a bad rep in the Army. Not so much to do with their role as to so with the type of character it attracts. Probably a little harsh and not the case in all. Indeed, with the exception of those foreign locally employed, all my team are ex-RMP. They are fully aware of my passion and the companies and personalities of those involved. So, you see, it's not just little ol' me, there's quite a few of us. I can see there is also a 2 day surveillance module on the course. What is taught during the 2 days? Well I've just been on your Linkedin profile Mike and I see that you had worked for 'Excellentia' for 3 years which explains your 'support' for them. I also notice you are not RMP CPU trained either - which explains your lack of understanding concerning standards within this profession and your thoughts on the common approach to commercial CP courses. 'Little Big League' springs to mind. Rich H wrote: Well I've just been on your Linkedin profile Mike and I see that you had worked for 'Excellentia' for 3 years which explains your 'support' for them. I also notice you are not RMP CPU trained either - which explains your lack of understanding concerning standards within this profession and your thoughts on the common approach to commercial CP courses. We are in for a great sunday again if Mike M logs in. Lol Rich. I have done a number of jobs for Excellentia as a sub-contractor but I do not work for them. However please tell me when I have ever said I am ex Longmoor? And surely you are not so naive to think that having not been trained at Longmoor means any less understanding about Close Protection. The RMP CPU trained thing doesn't wash with me I am afraid. I have encountered a large number of you who quite frankly were shocking. Some admittedly were good. But please don't think that Longmoor is the be all and end all. Because it is not. I knew it would be a great sunday!!! I think its the same in every single unit of the world and in all walks of life. There is good and bad everywhere and let's be honest, the good operators that come from RMP CPU are probably some of the best in the world, the bad ones are indeed bad and sometimes you wonder how they got their foot in the door. Same for some ex SF guys, you wonder how some of them got in, and then you find it was actually a family tradition and that there is high ranking officers on the family tree… or that some were part of an SF Unit but were just in an office doing paperwork but suddenly forget to mention this on their CV. Anyway, it is safe to say this thread has digressed somewhat.